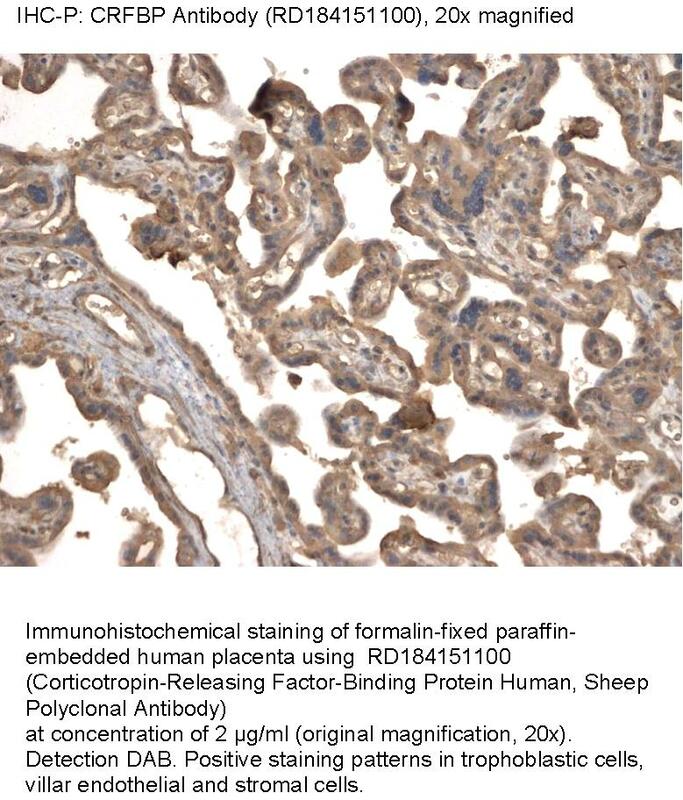 The antibody was raised in sheep by immunization with the recombinant Human CRFBP. Total 308 AA. MW: 34.58 kDa (calculated). UniProtKB acc.no. P24387. N-Terminal His-tag, 10 extra AA (highlighted). Immunoaffinity chromatography on a column with immobilized recombinant Human CRFBP.